"Thank you so much for offering that drum workshop ...The whole experience has been a blessing"
Medicine is spirit power. The essence of the spirit of the animal. As well as the essence of your spirit. Guided journey to the spirit of the animal will deepen your process connecting you intimately with the animals medicine. Ceremony is used to instill your personal energy, your medicine into your drum, creating a healing tool, a beautiful instrument as well as a piece of art. This is a peaceful healing event. As you make your drum at a drum building workshop a special camaraderie blossoms among the participants, with each student supporting and helping the others. By sharing experiences and knowledge, participants create a “circle of learning” that encourages discovery and understanding. 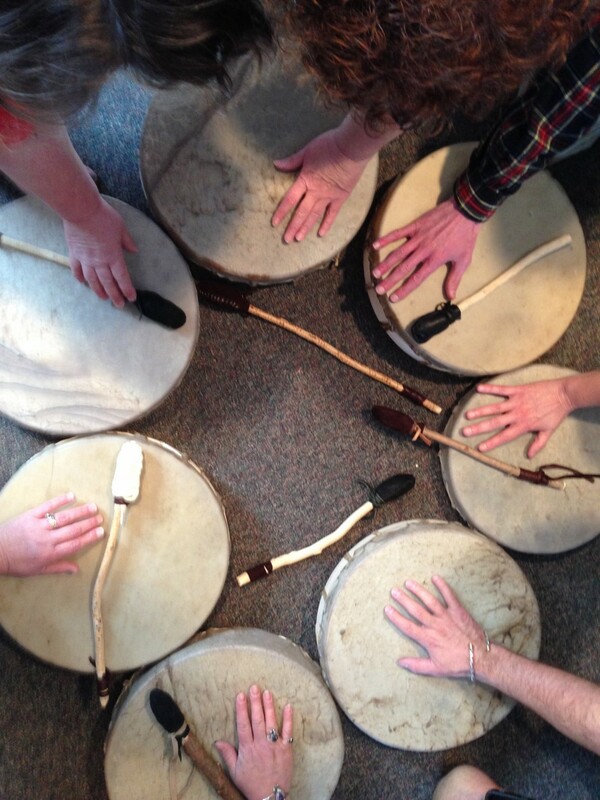 .Are you ready to make your own shaman drum? The sacred process of making your own personal shaman drum immerses you deep into your primal self, touching parts of you that may have been hidden in this lifetime. You make tactile and spiritual contact with the animal through its hide. With the sacred wood hoop, with the water, air, earth, fire, and all our relations. Your heart has a knowing calling you into this process.